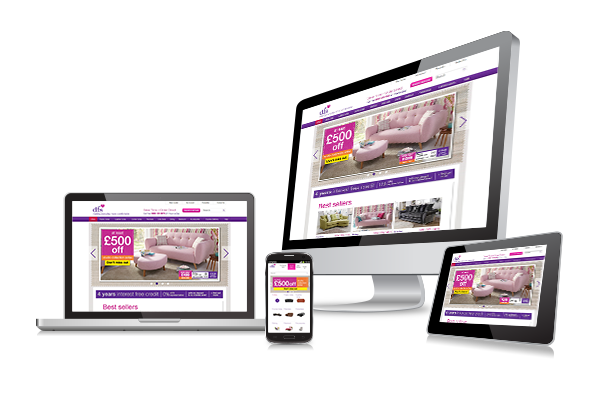 A world-class ecommerce platform for the UK's sofa expert. DFS have been making furniture for 45 years and have over a hundred stores across the UK and Ireland. With every sofa handmade to order, and a design to suit every home, DFS are the nation's sofa experts. DFS selected Salmon to implement IBM’s WebSphere Commerce platform and build new customer websites for the UK and Irish markets. These sites support all customer touch points, including tablet, PC, web, mobile, telephone sales and stores. Salmon followed up by developing DFS’s first B2B website, www.dfscontract.co.uk. The site allows independent and large hotel groups to search the widest range of contract furniture in the UK. 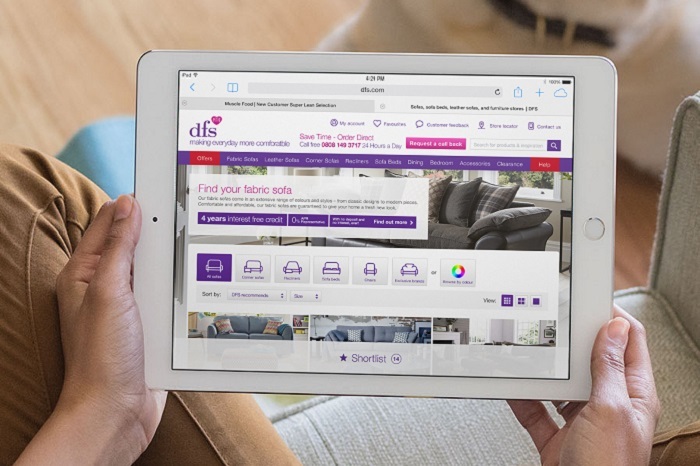 In partnership with DFS, Salmon designed and developed the site and continues to support it. It’s built as an extended site on the same WebSphere Commerce platform and shares data assets such as catalogue information between the two sites, bringing business efficiencies in site management effort and also reducing the chance of any data management issues. We looked at a number of platform options and we ended up with IBM WebSphere Commerce and Salmon, simply because they are the view of delivering WebSphere as a platform. We’re raising the bar and delivering outstanding ecommerce success for leading brands.